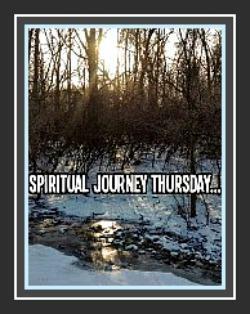 I look forward to Thursdays when I can publish thoughts on my spiritual journey and hear the thoughts of others on a weekly theme topic. It has become a space for an encouraging and fortifying community to come together. We welcome anyone who would like to join us! This week's theme is HE CALLS YOU BELOVED. This theme topic idea came to me when I heard a spot on our local Christian radio station by Bob Goff. I have the MP3 sound bite - the radio station's Director of Programming sent it to me - but I don't know how to embed it on this blog. I'll have to paraphrase it. Bob says that Jesus whispers over your shoulder, and He calls you "Beloved," and if you're hearing names being whispered over your shoulder, and it's not "Beloved," then it ain't Jesus. I loved that. We sometimes get critical or down on ourselves, maybe hearing negative things about the goals we're trying to accomplish or dreams we're trying to reach, but those aren't the voices we need to be listening to. Then, as often happens when I choose a theme topic, another message came my way. This time it was through Facebook. I follow Donald Miller , and he posted this encouragement. Today, listen to God's voice when determining who you are! What other names, besides beloved, does He call you? I enjoyed this post by Judy Douglass on The Names God Calls Me. Holly, I must admit that I never reflected so much on the word beloved until you sent us a call to examine it. I found that it lead me to connect my love of the world with my place in it. The word whispered to me and allowed a poem to flow. Thank you for leading us each week with a reflective topic. Thank you so very much, Holly, for choosing this core topic. What a blessing it is to reflect on who we are in Jesus. 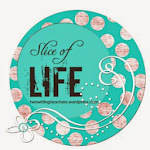 I love your post, which--as always!--sets the tone with an amazing lead-off reflection. Thank you for sharing the back story to your choice for this week's subject. I love the reminders to accept God's voice & reject the enemy's. In writing my post, I found myself inserting "His" in your subject; am sure "His" is implied in "He calls you beloved," but I felt the need to emphasize that relationship. Hope you don't mind. Yes! "He calls you His beloved." Thank you again for a wonderful opportunity to remind ourselves of that reality. God bless you! Beloved! it's a word packed with so much meaning. I love that it implies acceptance. Being beloved means being accepted right now. I want to listen for that voice more often and let it lead me in my relationship with the Lord. Sorry I didn't post today. I've been so busy lately. I need to get back to this message. I am feeling like I have nothing new to say. The wrong name is being whispered to me. I shouldn't listen. That's ok! Yes, if the wrong names are being whispered to you, don't listen!! This is an interesting topic! Thanks for suggesting it and for your encouraging post. It's helping me tune in to a wavelength I wasn't that aware of. I'm an education consultant who loves to teach, learn, and share ideas.